An uptight builder. A quirky travel show host. An explosive passion that surprises them both. Misunderstanding and stubborn personalities threaten to rip apart the fledgling relationship until both Kiley and Jeff learn to trust one another. Free on Kindle. 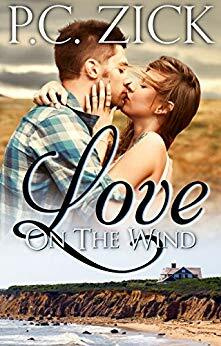 Find more books like "Love on the Wind" by PC Zick on kobovskindlereviews.com. We feature both reviews of ereaders and discounted + free books on Kindle. Browse more books in the Romance. Disclaimer: "Love on the Wind" price was accurate on April 10th, 2019. However, Amazon Kindle book prices can and do change frequently and without notice. Before you buy a book on Kindle, it's best to double check the price. If you purchased a Kindle book that you thought was free, you can return it by following the Kindle book return instructions here.